At Hotel Chocolat we are committed to keeping your personal data safe and secure. Any changes we make to our Policy in the future will be posted on this page and, where appropriate, notified to you on the website or by e-mail. It was last updated on 18th May 2018. This Policy relates to the Hotel Chocolat Group, incorporating the Chocolate Tasting Club, Boucan Hotel and Rabot 1745. This Policy is issued on behalf of the Hotel Chocolat Group so when we mention “Hotel Chocolat”, “we”, “us”, or “our” in this Policy we are referring to the relevant company in the Hotel Chocolat Group that is responsible for processing your information. References to "you" and "your" are references to customer or potential customers and users of our website. Hotel Chocolat Group PLC, a public limited company incorporated in England and Wales with company number 08612206 and registered office at Mint House, Newark Close, Royston, Hertfordshire, SG8 5HL the controller and responsible for this website. We will let you know which entity will be the controller for your data for the purpose of Data Protection Legislation (as defined below) when you purchase a product or service with us. In this Policy the term "Data Protection Legislation" means the EU General Data Protection Regulation 2016/679 and the Privacy and Electronic Communications (EC Directive) Regulations 2003 as may be amended or replaced; together with all other applicable legislation in force from time to time relating to privacy or data protection. We collect your information at the point you decide to interact with us. This could include purchasing online, signing up for our email newsletter, over the telephone, or in person when you sign up in our stores to receive information from Hotel Chocolat. We are committed to only collecting information about you that is necessary to carry out our business, provide the particular products or services you’ve requested and to keep you up to date about all the latest news from Hotel Chocolat. *When you visit www.hotelchocolat.com the Hotel Chocolat web server may automatically record your public internet protocol (IP) address used to connect your computer to the Internet. We will make sure we consider and balance any potential impact on you (both positive and negative) and your rights before we process your personal data for our legitimate interests. We do not use your personal data for activities where our interests are overridden by the impact on you (unless we have your consent or are otherwise required or permitted to by law). Your data is also anonymised and then used to optimise Hotel Chocolat systems and procedures. We have set out in more detail below the specific purposes for using your information and the legal basis we are relying on to process your information. To deliver purchases to you We want to ensure we can send your delivery to you. It's part of our contract with you. To send you services messages by text, e-mail, such as order updates about your latest delivery. This is part of our contract with you (so we can tell you when your order is coming). To allow third party providers to update you about your delivery This is part of our contract with you (so we can tell you when your order is coming). To allow our third party providers to send you emails to review your order and let us know if you are happy with the service we’ve provided. This allows us to monitor the quality of our products and service to optimise your customer experience and develop new products. To send you marketing and communication information by email, SMS, or post, about our new products and services; or sending you catalogue and direct mail in the post with our latest products and news. If you’ve placed an order on our website, in our call center, or booked at table at our restaurant, stayed in our hotel or been to one of our events, we want to make sure you keep up to date, so we’ll send you email newsletter and the occasional SMS messages. We have a legitimate interest in keeping you up to date. and letting you know about products or services that you may like. If at any time you decide you don’t want to receive this information by one or all communication methods, you can opt out here Link to un-subscribe (see Section 6 below). For fraud prevention and detection. To prevent and detect fraud against either you or Hotel Chocolat – unfortunate, but absolutely essential. To show you Hotel Chocolat adverts as you browse the web. We want you to be able to see our latest products and deals. To find out what you, and other customers, like. To ensure we are giving you the products you want and to ensure we keep innovating. To take payment, and give refunds. We’ve got to do this to perform our contract with you. To provide the products that you order to you. We’ve got to do this to fulfil our contract with you. For fraud prevention and detection. 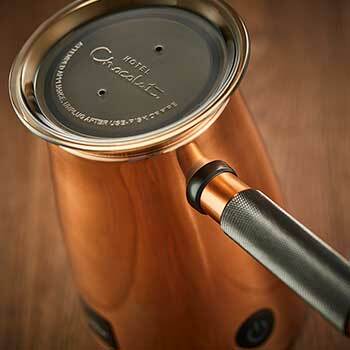 To prevent and detect fraud against either you or Hotel Chocolat. To provide customer service and support. We’ve got to do this to perform our contract with you .After all, we’re committed to 100% Happiness for all our customers. To train our staff. So that, when you contact us, you get the best possible customer service. To sell you our products. If you can’t put products in your basket, we can’t sell it to you! To send you a reminder of what products you’ve left in your basket but not yet bought. We want to ensure you have the best customer experience and don’t want you to miss out on purchasing our products! To provide customer service and support, and handle returns. We’ve got to do this to perform our contract with you. Finding out what you, and other customers, like. To ensure we are giving you what you want, and to stay ahead of the competition. It also helps us to make suggestions and recommendations to you about products or services that may be of interest to you. To give you loyalty points. If you’ve signed up to our loyalty scheme we want to make sure we can send you offers and communications that relate to the products you’ve bought. To improve our website and set default options for you To give you the best possible experience. To protect our website To prevent and detect fraud against either you or Hotel Chocolat – unfortunate, but absolutely essential — and to meet our legal obligations about looking after your data. To look at how our customers use our website. To ensure that the content on our website is presented in the most effective manner for you. To run the survey, competition or promotion. We want you to have a chance of winning. If we can’t use your entry, you’ve no chance of winning. To review and rate products you’ve reviewed. We’ll listen to what you’ve told us in your review and use it to improve our services and products. However we may share your data with some companies as an essential part of being able to provide our products and services to you. Other companies in the Hotel Chocolat Group. Companies that are linked to when you make a purchase with us, like our payment service providers, delivery companies, credit reference agencies and third party call centres who provide IT and system administration services or other assistance to help us fulfil our orders. Third parties we have engaged to help use collect information from you to rate our products and develop new products. The third party we use is called Bazarvoice. Information updates - From time to time we may screen our database against recognised data files such as National Change of Address file, so that we keep our database up to date. Other business entities if we plan to merge with or be acquired by that business entity, or if we undergo a re-organisation with that entity; or if they become a successor in interest, in the event of a liquidation or administration of the Hotel Chocolat Group. The information that we collect from you may be transferred to, and stored at a destination outside the European Economic Area ("EEA").It may also be processed by staff operating outside the EEA who work for us or for one of our suppliers. Such staff may be engaged in, among other things, the fulfilment of your order, the processing of your payment details and the provision of support services. You will receive marketing messages from us if you have requested information from us or purchased products or services from us and, in each case, you have not opted out of receiving that marketing. We may also market to you if we have received your express consent to do so including where we have collected your details in connection with a competition or other promotion and you have agreed to receive marketing from us. More details about the types of marketing communications we might send you are included in Section 3 above. If you do not wish to receive any further posted mailings from us, please email: help@hotelchocolat.com. Please ensure you include your full name and address as well as account number if applicable. As catalogues are printed in advance, it may take up to 8 weeks for the process to be complete, for emails it may take up to 4 weeks. You can un-subscribe from email and SMS messages, including our newsletters and alerts, at any time by clicking the un-subscribe link that comes within every communication we have sent to you. Or, you can log in to your account and update your preferences in the My Account Section of our website. If you have opted in on our website to receive offers in the post from companies who we think may be of interest to you, but have now changed your mind, please login to the My Account Section of our website and change your preferences. Alternatively, just emai help@hotelchocolat.com	with "UNSUBSCRIBE REQUEST" in the subject line and the email address that you wish to be removed within the email. We will action any unsubscribe request from you as promptly as possible. Like most companies selling products and services online, we engage in online advertising that appears on third party websites to keep you aware of what we’re up to and to help you see and find our products and access our services. We target Hotel Chocolat banners and ads to you when you are on other websites and aps. We do this using a variety of digital marketing networks and a variety of advertising technologies like pixels, ad tags, cookies and mobile identifiers, as well as specific services offered by some sites and social networks, such as Facebook Custom Audience Service. You have a lot of rights relating to your personal information: And it is important to us that you understand what these rights are and how you can exercise them. The right to request that we delete your data, or stop processing it or collecting it, where there is no good reason for us continuing to process it or where we may have processed your information unlawfully or we are otherwise required to erase your personal data to comply with local law. Note, however, that we may not always be able to comply with your request of erasure for specific legal reasons which will be notified to you, if applicable, at the time of your request. The right to ask us to stop or start sending you direct marketing messages, which for electronic communications you can do through via the My Account Section of our	website,	or	for	postal	mailings	please email: help@hotelchocolat.com. Please ensure you include your full name and address as well as account number if applicable... See Section 6 for more information about your right to un-subscribe from receiving marketing communications. The right to withdraw consent to our processing of your personal data (to the extent we are relying on consent to process your personal data). If you withdraw your consent, we may not be able to provide certain products or services to you. The right to request that we transfer or port elements of your data either to you or another service provider in certain circumstances. The right to complain to your data protection regulator — in the UK, the Information Commissioner’s Office regulates and supervises the use of personal data-via their helpline on 03031231113. What we may need from you- We may need to request specific information from you to help us confirm your identity and ensure your right to access your personal data (or to exercise any of your other rights). This is a security measure to ensure that personal data is not disclosed to any person who has no right to receive it. We may also contact you to ask you for further information in relation to your request in order to speed up our response.